Ooohh baby, that setup on EUR/USD looks as tasty as whisky on the rocks! After dipping to as low as 1.4100 last week, EUR/USD has retraced back up to the 1.4400 handle and has formed a rising wedge. 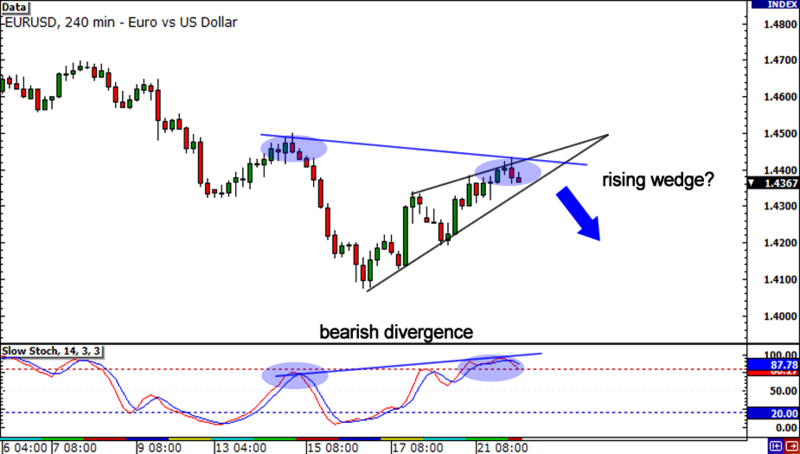 In addition, it seems that we’ve got some bearish divergence in play, as Stochastic has made higher highs, while price action shows lower highs. Are we about to see the bears get their crunk on tonight? Look for a bearish marubozu candle close below the rising support line as a sign that this pair is headed back down below! 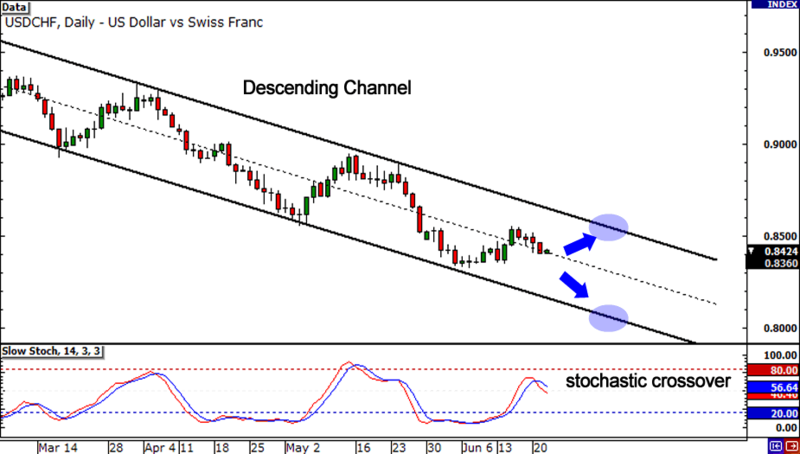 For the better part of the last 5 months, USD/CHF has been trading in a sweet descending channel. Currently, the pair is right smack in the middle of the channel. Take note that Stochastic has just crossed over and that the bias is to the downside. This means that there is probably a higher chance of this pair heading lower to new all time lows. If you ain’t too sure about that, then it might be best if you just chill out first, have a few beers and wait for this pair to test the top of the channel around .8600. Lastly, I’ve got another descending channel for y’all, this time on AUD/USD! After hitting lows around 1.0470 last week, the pair has retraced back to the 1.0600 handle. 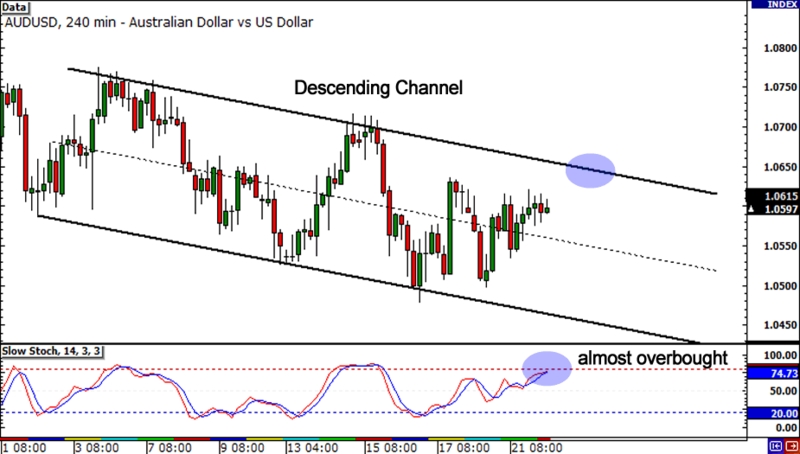 Stochastic has yet to crawl into overbought territory, so there could be room for the Aussie to test the top of the channel at 1.0650. I’d wait to see how to price reacts to that resistance area before I make my move and swoop in for the kill.